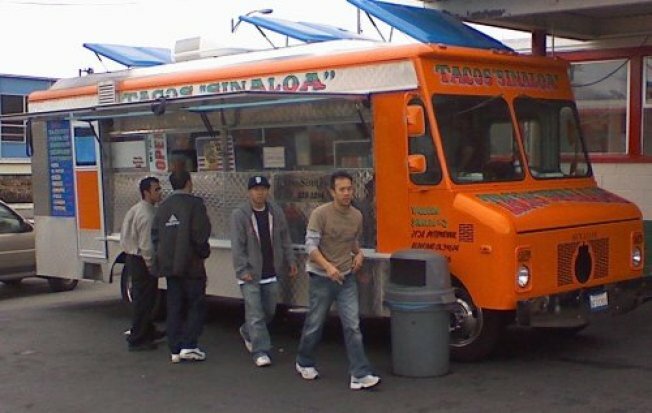 One of the more popular taco trucks in Oakland. What do you do if you are an expert on tacos but moving to a place where they don't serve tacos? Hope on your bike and offer to show newbies who can keep up where to get the best crispy bites. Cyrus Farivar of californiatacotrucks.com is moving to Germany "where there is sadly, a great dearth of taco trucks." But before he leaves the source for everything tacos is teaming up with Oaklandish and the East Bay Bicycle Coalition to do a taco truck tour of Oakland. The NPR contributor has done two bicycle taco truck tours before but this one plans to be a farewell as well as a “best-of” tour. And if no one learns Farivar secrets before he leaves, you will be forced to depend on an iPhone app to find delicious tacos. The tour kicks off at the Fruitvale BART station Saturday Feb. 20 at 11 a.m. and admission is free. Just make sure to RSVP via Facebook and come with an empty stomach.